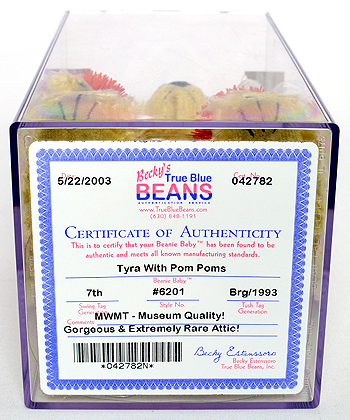 An unsubstantiated story alleges a shipment of original Tyras with pom-poms was mistakenly sent to a Ty warehouse in Canada. When Ty ordered the return of these particular Tyras, some of them mysteriously vanished. Ty has not released information on how many were produced or how many "mysteriously disappeared." The actual number is believed by collectors to be fewer than 50. 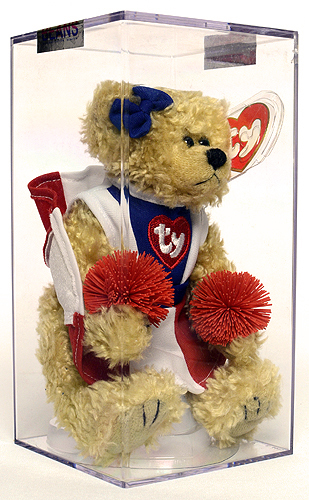 Many 3rd party hard-copy printed or Internet guides that reference Attic Treasures omit this version of Tyra with pom-poms. Their reasoning is that she was never officially released to retailers. 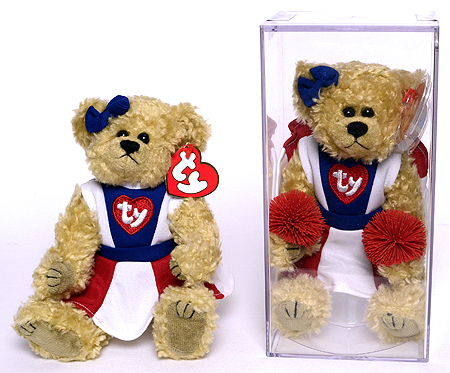 Ty subsequently released a version of Tyra without the pom-poms for retail sale.